Malaysia has a population of the local Malay people along with the Chinese and Indian people. The country has wild jungles, tribal population and granite peaks. The islands of this area are very beautiful. Tourists visit the area to enjoy the life in resorts and towns. 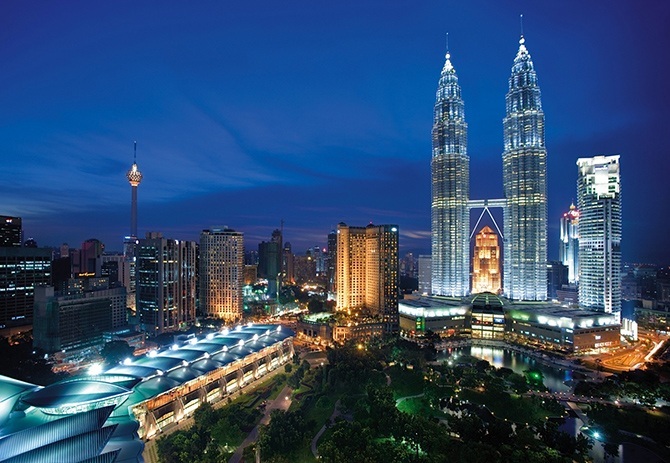 The top 10 Tourist attractions in Malaysia are as follows. Langkawi Islands have the best beaches. This area also has jungles. You can enjoy sightseeing in this area. The islands have geoparks and geoforests, which attract the visitors. This area has rich wildlife with many species of animals. The beaches in this area have many restaurants and bars. Cameron Highlands are hill stations where there are forests and waterfalls. Visitors and tourists enjoy this place as it offers them tranquility. You can walk through the jungles of this area. You can also visit the tea plantations while taking tours in tea factories of this area. Lake Kenyir is situated in northeast Malaysia. This manmade lake is very beautiful. A wildlife park is situated near the lake on its border. Many islands and waterfalls are situated near the lake. You can also visit the caves near the lake. The visitors can see animals and birds in this area. Georgetown is a place in Malaysia that attracts visitors from the whole world. This place is very beautiful and it has a rich history. Some of the famous spots in Georgetown include mansions, mosques and Buddhist temples. You can taste authentic Malaysian cuisine in the restaurants of this area. Mount Kinabalu is situated at a height of 13,435 ft. This place has many types of plant and animal species, which gives you a chance to see the biodiversity. You can enjoy seeing the ferns, birds and mammals here. You can climb the mountain peak also. Batu Caves are situated in Selangor in Malaysia. These caves have Hindu temples, due to which many Hindu worshippers visit this place. Made of limestone, the caves have Hindu god statues. You can do rock climbing in this area. Perhentian Islands is a coastal area situated in the northeast part of Malaysia. If you are traveling on budget, you must visit this place. This area has beautiful beaches. You can enjoy diving here. If you like to spend some time near the island, you can find cheap accommodation here. If you like to enjoy an enriching vacation, you can visit Kuching in Malaysia. This place has museums and planetarium. You can enjoy leisure along with some learning in this area. You can enjoy the view at Kuching Civic Center. You can enjoy shopping in the Sunday market. Taman Negara is a rainforest that has national park. You can reach this area through Kuala Lumpur. This area is a famous ecotourism destination, attracting the tourists. You will get a chance to see rare mammals here. However, the visitors cannot get close to the wildlife. You must visit the Ipoh City in Malaysia. The city was a British colony in the olden times and it started with a humble beginning. Now, the city has modern facilities along with an old charm. The food lovers like to visit restaurants of this area. You can visit the limestone caves, which have beautiful carvings. So plan a trip to this area and visit the top 10 Tourist attractions in Malaysia.